Community Psychology, 5/e focuses on the prevention of problems, the promotion of well-being, empowerment of members within a community, the appreciation of diversity, and an ecological model for the understanding of human behavior. Attention is paid to both “classic” early writings and the most recent journal articles and reviews by today’s practitioners and researchers. Historical and alternative methods of effecting social change are explored in this book, with the overall theme that the environment is as important as the individual in it.This text is available in a variety of formats – digital and print. 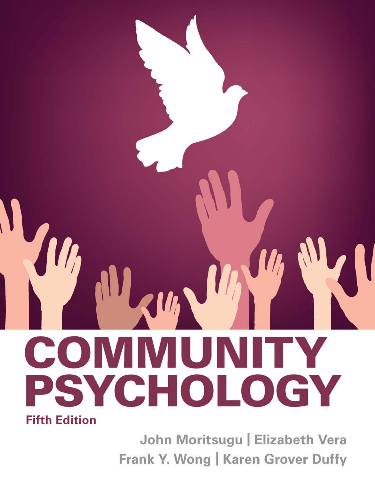 Understand the historical and contemporary principles of community psychology.